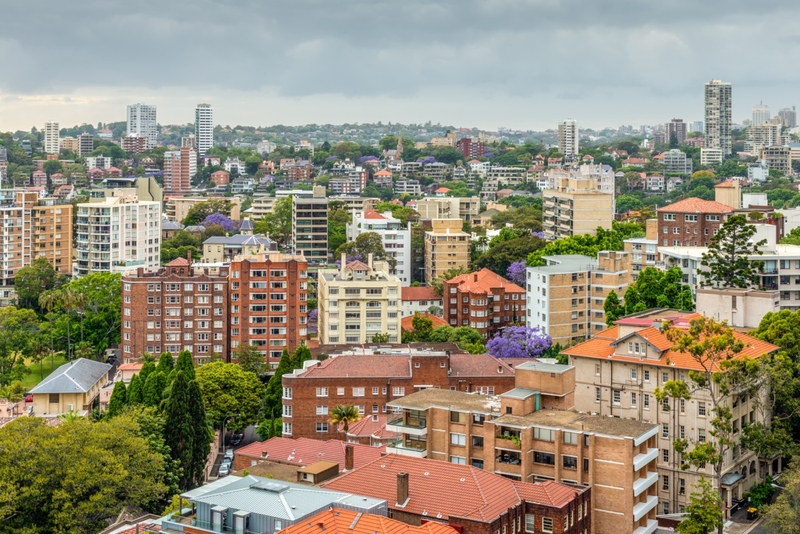 Dwelling investment is likely to remain at a high level, but much as market commentators have forewarned, New South Wales and Victoria aren’t expected to contribute significantly to growth in the next few years. Australia’s strong population growth will ensure housing demand remains solid but the nation will vary at a state level, according to Reserve Bank of Australia's Head of economic analysis Alex Heath. “There isn’t a single national housing market," Heath said at an Urban Development Industry of Australia event this week. “At the state level, there have been some similarities in the evolution of dwelling investment, but there have also been distinct differences. "Given that housing accounts for around 55 per cent of total household assets, we are paying close attention to these developments." Heath said. The RBA is confident about the outlook for investment outside of the mining sector. Non-mining business investment has become an increasingly important driver of growth in Australia’s economy with infrastructure investment bolstering the sector. The graph reflects the increase in construction of higher-density apartments, particularly in the east coast capitals. Dwelling investment has been flat over the year to March, and while the RBA says dwelling investment is expected to remain at a high level, the bank forecasts it won’t contribute significantly to growth over the next couple of years. 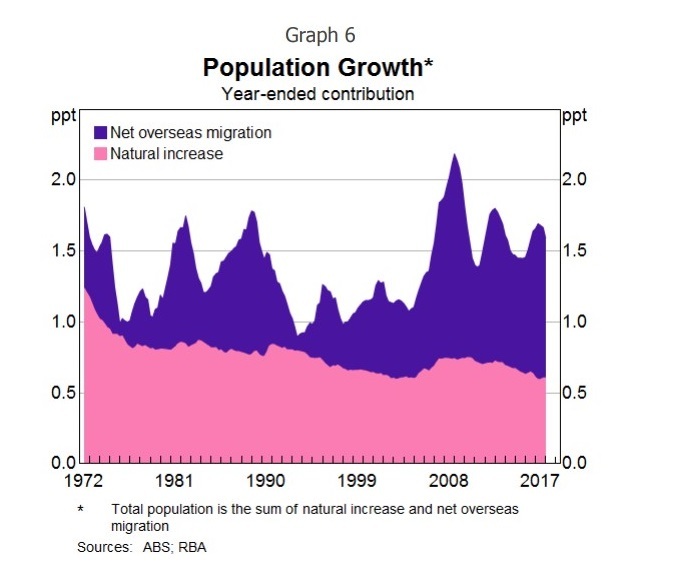 Australia’s population is growing, largely thanks to immigration, a significant portion made up of people on student visas. The nation’s population is increasing 1.6 per cent each year, more than twice the average of the developed world. 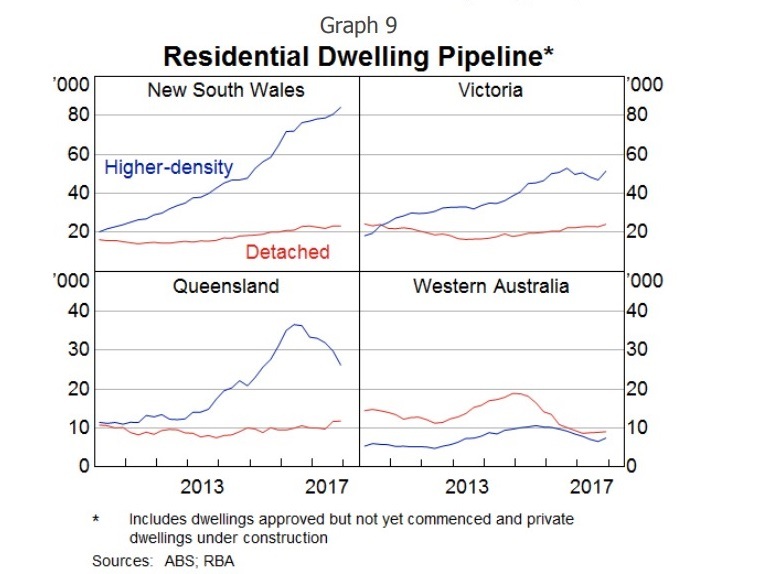 New South Wales and Victoria have a pipeline of approved residential construction not yet completed, and Heath says this remains high. 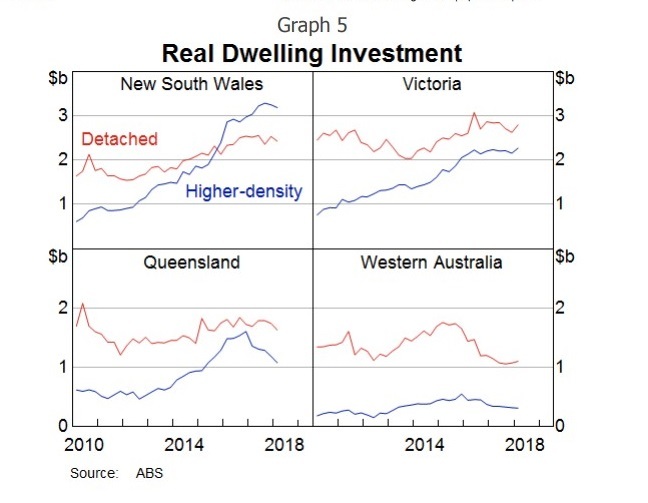 However, dwelling investment in NSW and Victoria is expected to remain high for a number of years based on recent approvals data and anticipated demand. Queensland has a reasonable pipeline of work which has started to decline. 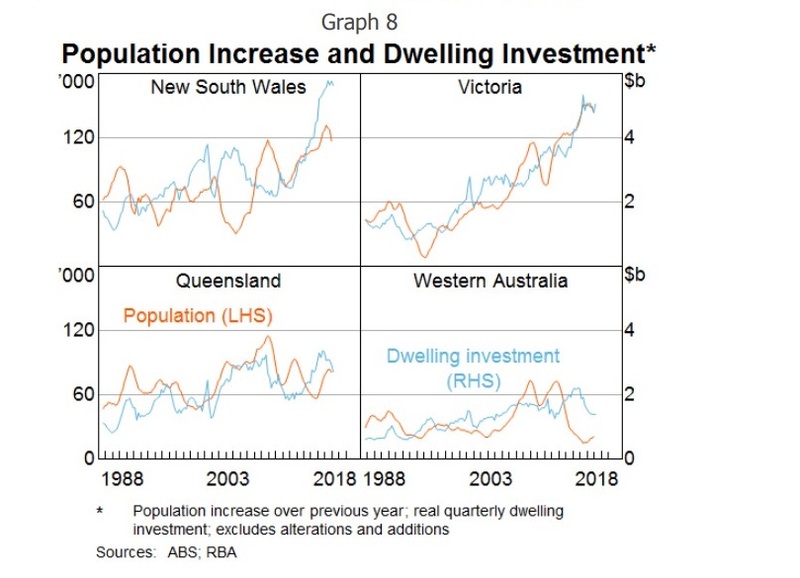 Housing price growth in the past five years has been subdued in Brisbane and Perth, consistent with a decline in population growth in the two states following the mining investment boom. Demand for housing remains strong thanks to continuing solid population growth, but will differ across regions within states due to population trends.